Featured on the Front page of The Dental Economics Magazine! 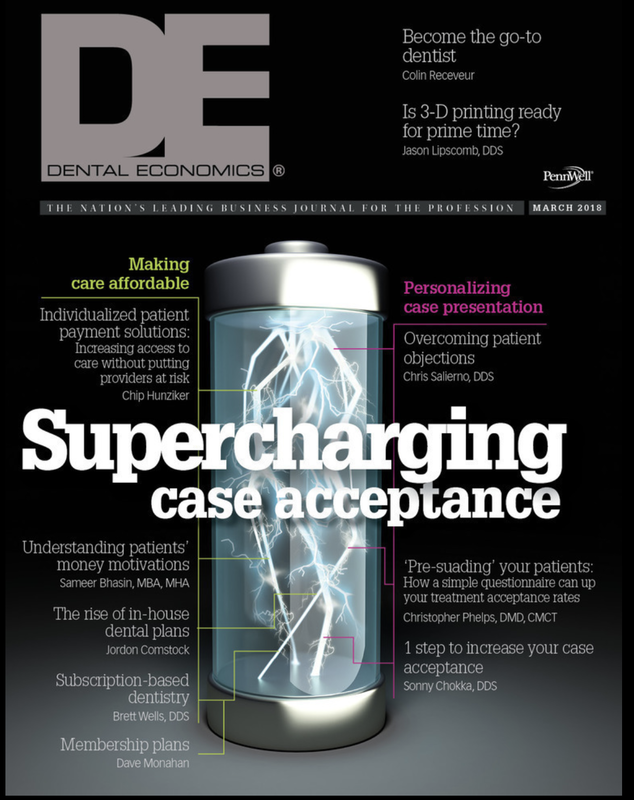 We just got featured on the front page of Dental Economics Magazine! Our CEO Jordon Comstock writes about the rise of in-house dental plans and how they help your practice build patient loyalty, increase case acceptance, reduce dependence on dental insurance, increase predictable recurring revenue and improve the value of your practice! Check out the article in your March 2018 issue!